as much about life as the man who has lived a lifetime of ninety years. Neither can really explain the meaning in living. Cearly, the whole notion that we can hold life in our hands and survey it like some inscrutable puzzle is itself a notion both foolish and elusive. In fact, it seems that the longer we live, the less we really know. Maybe the child is right— life is meant to be lived rather than be understood. One thing, however, is certain— life is best when it is simplest. The small child seems somehow to understand this. Give a child money and the child falls asleep with boredom; give a child a rousing game of peek-a-boo and the child will roar with laughter and delight. Laughter accomplishes what money cannot. There may be nothing simple about life, but some things are within the grasp of understanding— life has both a beginning and an ending. And maybe this is the place to begin any analysis for in the last analysis we can safely say that life does not change— we are born in this world; we grow up in this world; we grow old in this world, and we eventually die and leave this world. Whoever we may be, whatever language we may speak, and whenever we may have lived, the story is the same. In Shakespeare’s words, “We are such stuff as dreams are made on, and our little life is rounded with a sleep” (Tempest IV.i.). Ecclesiastes talks about living in a way perhaps no other book ever does— either in Scripture or in profane literature. “There is nothing new under the sun” says this book, and it says it over and over again. The phrase, in fact, is a running refrain, reminding us that despite all the complexities, despite all the joys and sorrows, life does not really change. We may live in a modern world, but we live our life the same way our grandfathers lived theirs, and their grandfathers before them. And yet, Ecclesiastes makes an astounding claim— “Of making many books there is no end; and much study is a weariness of the flesh. This is the end of the matter; all hath been heard” (12:12). Here in these pages is the ultimate discussion of life, of its basic and fundamental elements. Here is the very bedrock. Other books may have been written about life and how life should be lived, but such books can go no further than what is contained here. All has been said. Nothing more can be added. If you want to know how to live, it is here in this book. All your philosophy, all your psychology, all your wasted moments of trying to make sense out of the senseless cannot measure up to what you will find in Ecclesiastes. Here is God’s commentary on life. Here are the goads and nails, the words that prompt us into action and the words that hold things together— “The words of the wise are as goads, and as nails fastened by the masters of assemblies, which are given from one shepherd” (Eccl. 12:11). Here is that which is secured with nails and on which we can hang things. Here is that which will direct and goad us in the right direction so that we do not take the wrong paths. Here is bedrock. In our future studies we will look more closely at what Ecclesiasts has to say. We hope you’ll go on this journey with us. Maybe this book will become one of your favorites. I hope so. May you live all the days of your life. I wish you that. Why is life difficult to understand? Compare a child with an old man. How are the child and old man alike? How are they different? What happens to us when we lose the magic of childhood, the magic of being young? Can we die before our time? Have you ever seen people who were old at thirty? 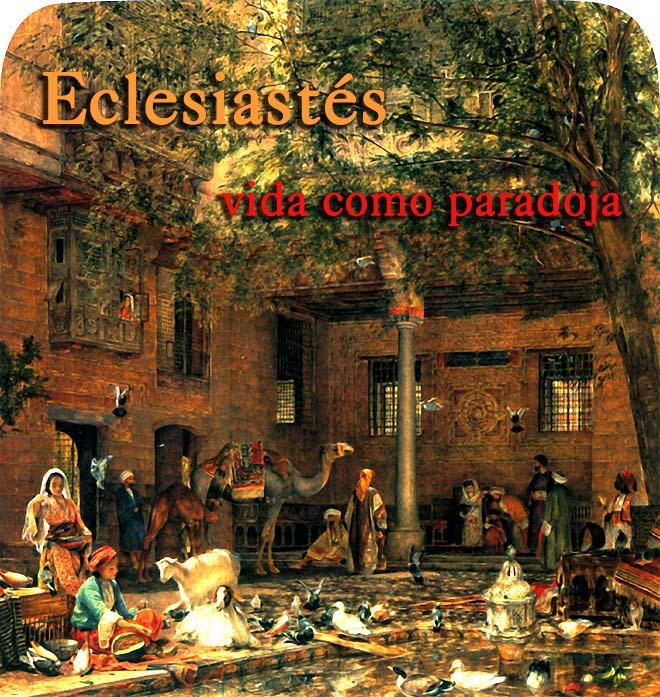 What does Ecclesiastes actually say about life? Why is that claim astounding? Is the answer to my life in psychology? Can psychology help me, though? Can psychology sometimes hurt me? Is the answer to my life in a fortune-teller? Why do people even go to fortune-tellers? Even if I knew the future, would that help me live better? By that I mean, if you knew the day you would die, would that help you live, or hamper you from living? What is a goad? How are goads used to direct animals? Why do we use nails? How are these two metaphors, nails and goads, to be understood in Ecclesiastes? Is money the answer to life? How does money make your life easier? How does the lack of money make your life harder? If you had all the money you could ever spend, would that make your life even one day longer? If you wanted to buy tomorrow, how much would it cost? Is it possible for me to be so concerned about money that I lose my life? What makes a house a home? When will you begin to live life as God intended for you to live?